In Portuguese the word “socegad” means easy going. And “socegad” is precisely how one would describe the Indian state of Goa. India’s smallest state is located on the West Coast and is affectionately known as India-lite and is arguably one of the most charming places in all of Asia. 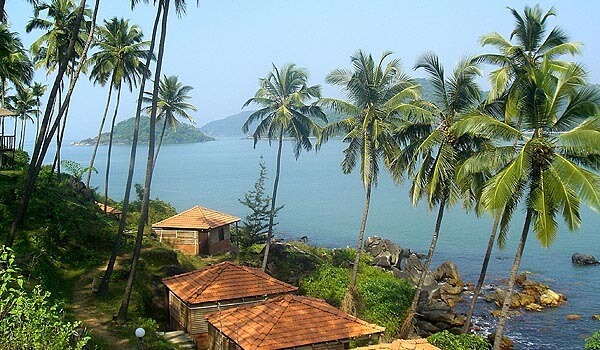 Goa is profoundly different from traditional colonial India because of its history. It was settled by Portugal for over 500 years and the Portuguese influence still dominates today. Nowhere is this more noticeable than in the attitude of the people. They have a more relaxed and tolerant view of society and are willing to live and let live. In fact, Goa is a haven for bohemians, hippies, ex-pats, and writers yearning to find their place in the universe. 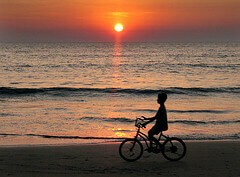 Goa is best known for its legendary and beautiful beaches. They are gathering places for tourists and locals alike who delight in resting beneath its balmy palm trees, sampling delicious food such as curry or seafood in one of the temporary outdoor restaurants that suddenly seem to appear. When fed, a delightful side trip is to go diving and explore the beauty of the abundant reefs and marine life. For sightseeing Old Goa is a must see. It is heavily populated with striking Catholic cathedrals, temples and museums. In fact it is home to the largest church in Asia. Also not to be missed is Bhagwan Mahiver Wildlife Sanctuary, which is home to a variety of animals such as elephants, deer and wild dogs. Need a change of pace? Visit a spice plantation and savor its aromatic scents. To maximize tourists revenues, Goa has allowed many international hotel chains such as Ramada, Marriott, Hyatt, Holiday Inn, and Intercontinental to supply much needed lodgings. However, if you're looking for something basic, you can rent a cheap bungalow for much less per night. So whether on land or beneath the ocean floor, Goa is one experience that should not be missed. Last updated by Randy Taylor on 14 September, 2010 in Destinations.